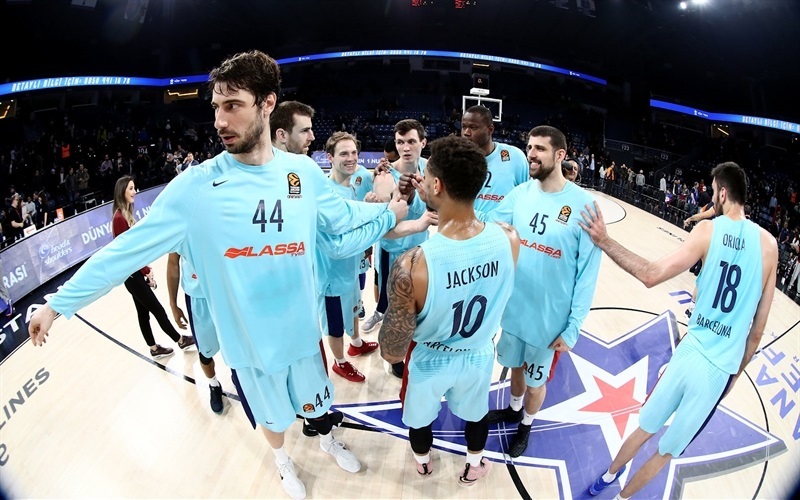 FC Barcelona Lassa delivered a record-breaking performance to gain a thumping 83-107 victory over Anadolu Efes Istanbul, with the Spanish team hitting 19 three-pointers to set a new club record and tie the highest mark ever recorded in the competition. 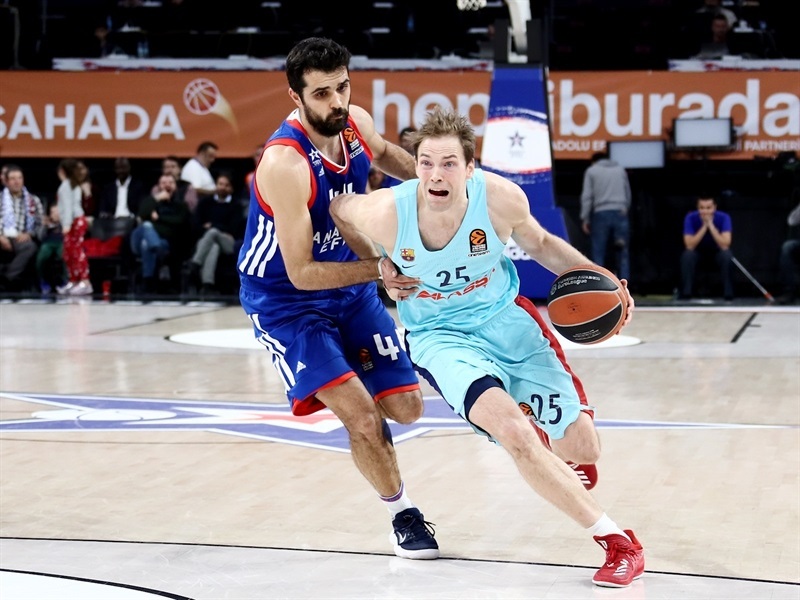 The point tally also equaled Barcelona’s best in the EuroLeague, with the biggest contribution coming through 20 points from Thomas Heurtel who also delivered 9 assists. 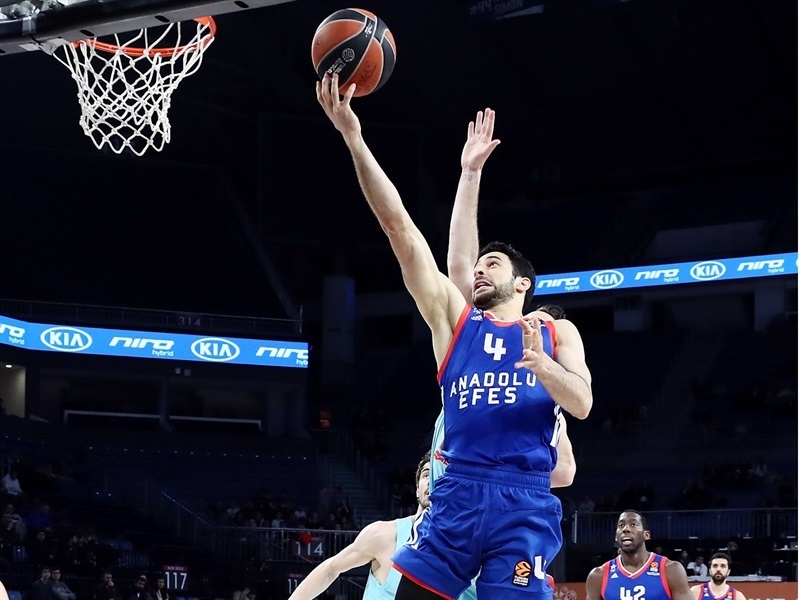 Victor Claver and Pau Ribas both made 4 of 4 triples in their respective totals of 16 and 12 points, while Ante Tomic dominated inside with 15 points. 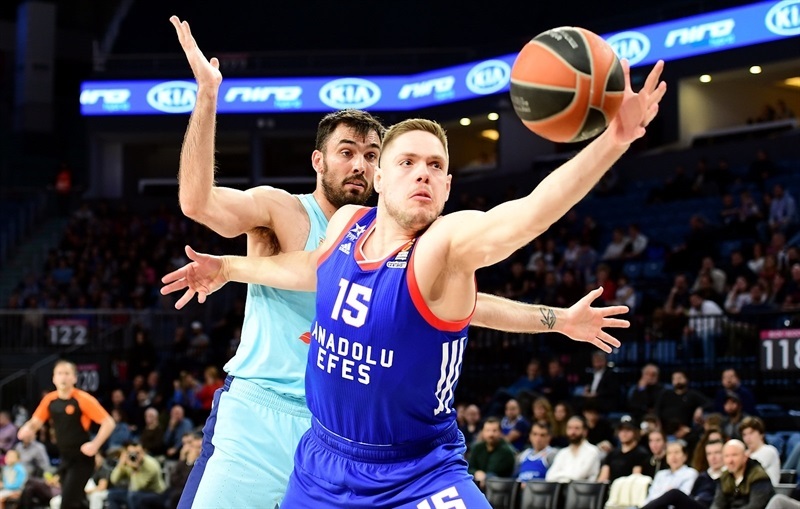 Efes also had a productive night from long-range, making 12-of-28 attempts from beyond the arc, led by 19 points from Brock Motum and 17 from Sonny Weems. Errick McCollom and Krunoslav Simon both scored 10 points for Efes, which lost the rebounding battle 22 to 34. 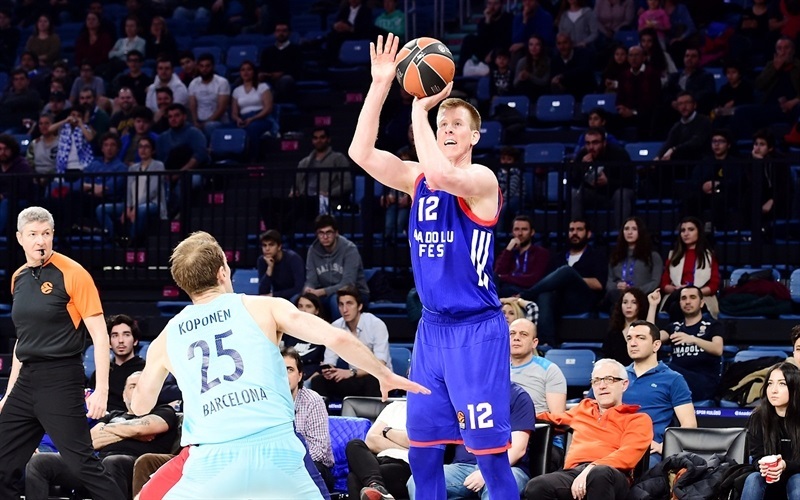 Last-placed Efes fell to its eighth straight defeat and a 6-23 record, while Barcelona improved to 10-19 with its third win in five games. 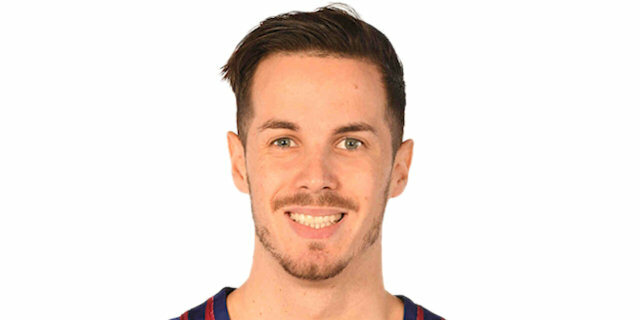 The teams traded close range baskets in the opening stages before consecutive triples from Adam Hanga and Petteri Koponen gave Barcelona some daylight. Adrien Moerman threw down his second dunk, but Motum had 6 early points to keep Efes in touch. 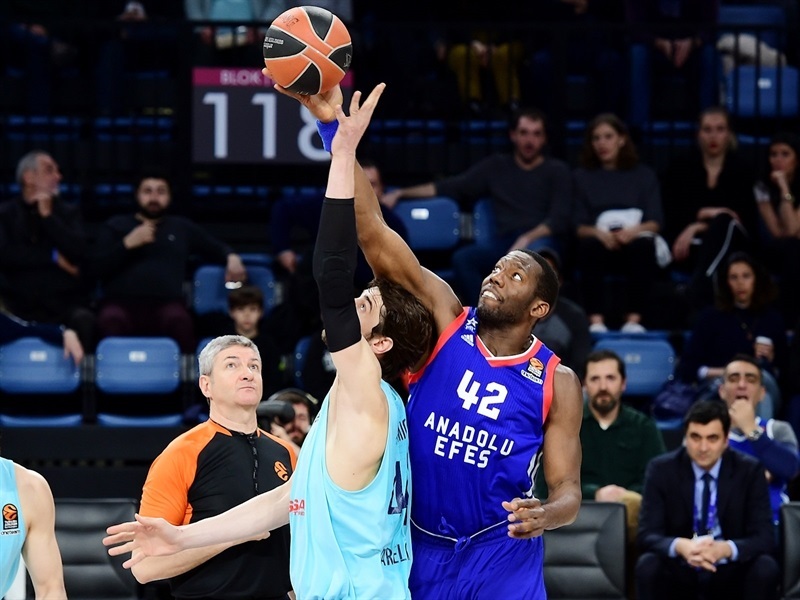 A 6-0 run culminating in Bryant Dunston’s free throws sent Efes ahead, but Koponen’s second triple restored the advantage. A put-back from Claver and a pair of three-pointers from Ribas kept the visitors flowing, but a Motum deep strike and a dunk plus one from Dunston made it 19-23 after 10 minutes. 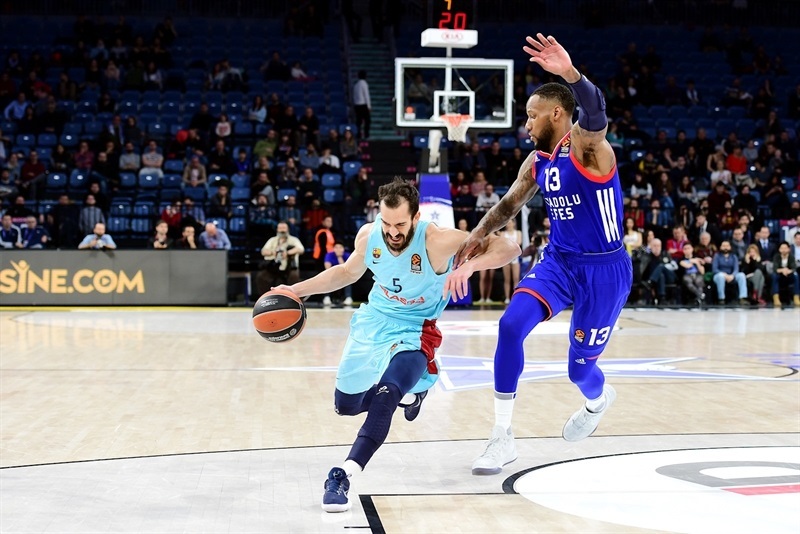 That advantage soon became double-digits as Claver opened the second quarter with a pair of triples and the long-range barrage continued through Hanga and Ribas as the gap grew to 21-35. 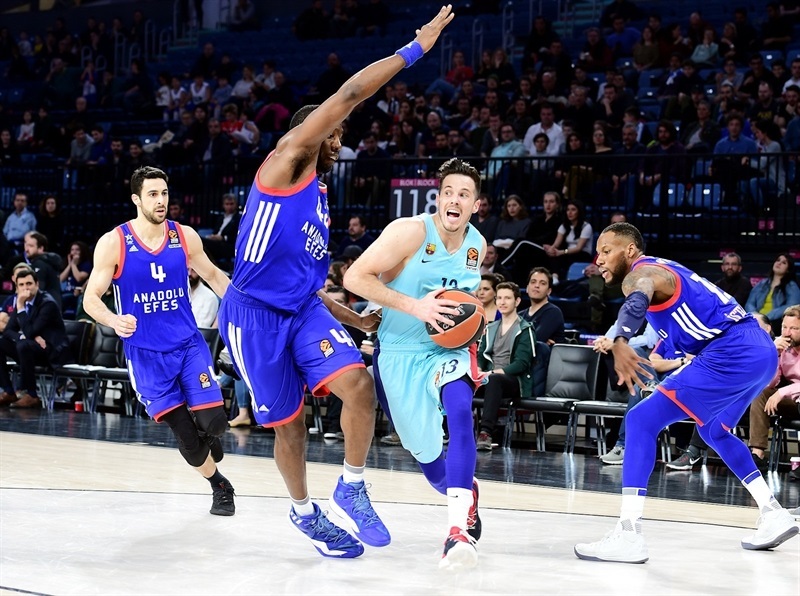 Efes didn’t score a field goal for nearly five minutes until Weems hit a three, but the remainder of the half belonged to Heurtel with a couple of beautiful assists to Tomic, a three-pointer and a driving layup on the buzzer, making it 34-55 at the interval. 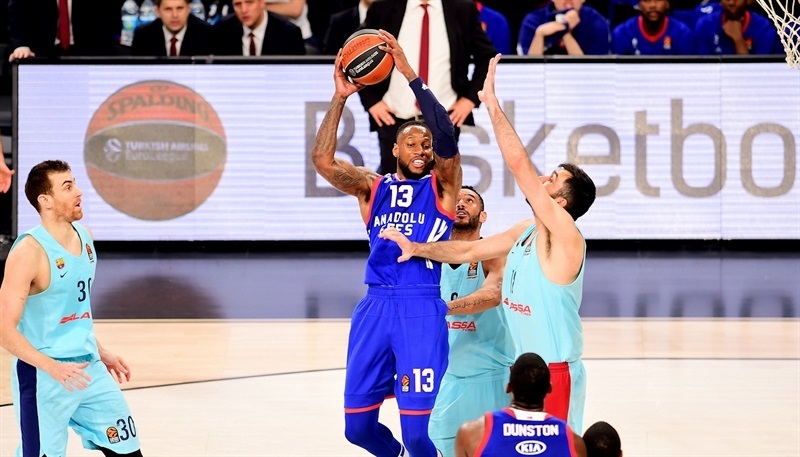 Weems opened the second half scoring, but Ribas hit straight back with yet another triple, maintaining Barcelona’s record pace. 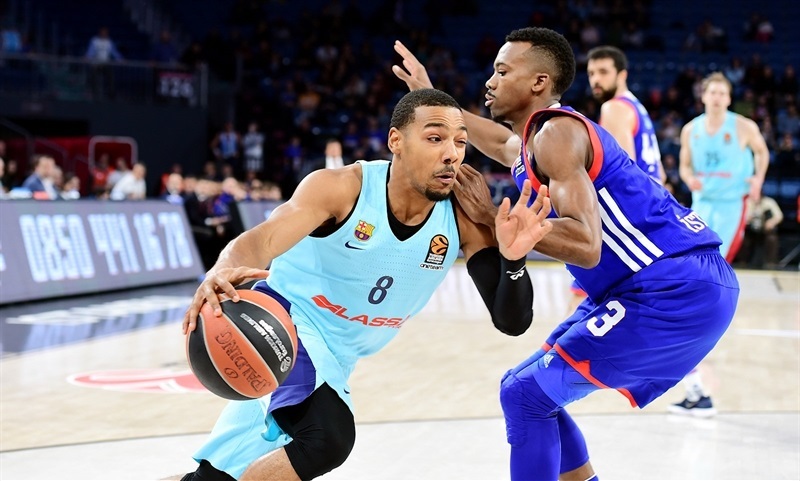 The game then became a remarkable long-range shoot-out, with McCollom and Motum netting from deep for Efes and Moerman, Heurtel and Phil Pressey doing the same for Barcelona. 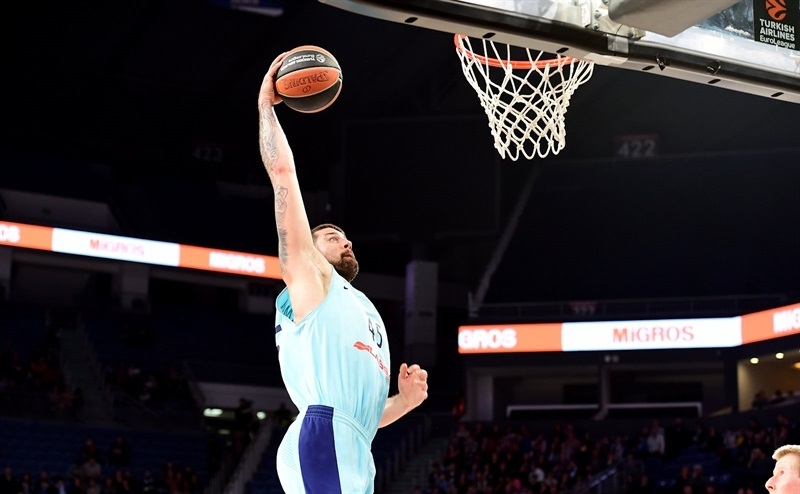 Efes threatened a comeback with an 8-0 run featuring another three-pointer from Weems, before the quarter ended with yet more long-range strikes from Claver and Birkan Batuk. 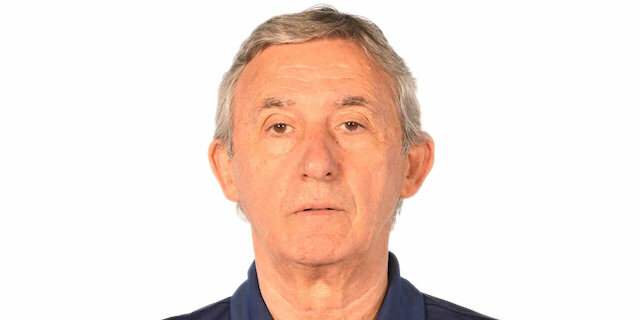 Predictably, Claver opened the final quarter from long range, and the visitors made the game safe with a 0-14 run containing another three-pointer from Edwin Jackson. Heurtel added a layup and a three, before Jackson took Barcelona into triple-figures – inevitably from beyond the arc. The barrage eventually dried up as Hanga missed an open three with a chance to set a new league record, but the visitors had already done more than enough to secure an extremely convincing victory. 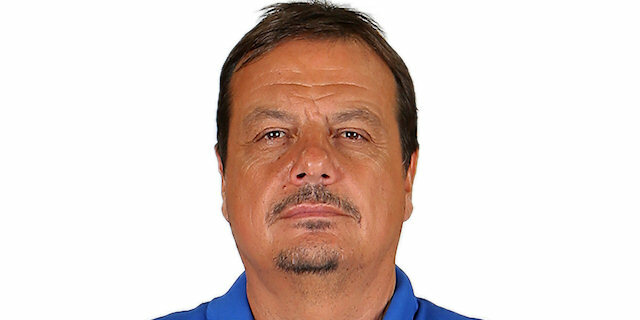 "We played a good game. We started well and finished well. We made a lot of shots. Everybody improved his game today and everything was okay. We want to finish the EuroLeague season well, and winning games away from home is important for confidence. We did that tonight and we’re very happy."